So this week, Wizards came out with their official gift-giving guide for people that play Magic or people that know people who play Magic. It’s nice, right? Gifts for the new player, the experienced, and everyone on a spectrum between. However, it’s mostly bunk. It’s either preconstructed and at a rather fixed value (Planechase Anthology and Commander 2016) or it’s some form of booster pack buying. 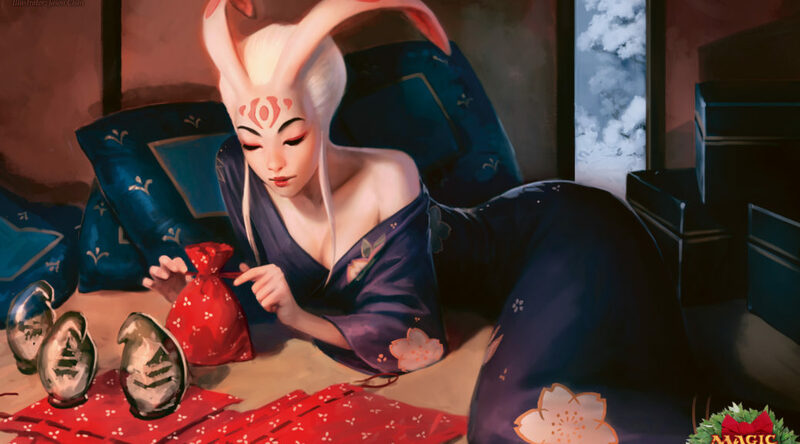 Buying someone boosters is exactly like giving them a stocking full of scratcher tickets, only they won’t feel the same need to sort and store all the losing tickets the way most of us sort and file the chaff that comes into our lives. Last year, at Father’s Day, there was a single $25 (or so, I’m not certain) pack of Modern Masters 2013 for me from a friend. I had to stop and think about what the pack had cost, what it was likely to contain, and whether I wanted to open it. While I considered all of this, he got impatient with me and told me to open it. So I did. Hello, $25 Grand Arbiter Augustin IV! Hello foil Mothdust Changeling! Hello, not-valuable-uncommons and commons! So this week, I want to give you all some buying advice. Not all local stores do this, and not everyone has a store they can go to. But you should look at it for the Magic player in your life. Maybe they want a draft. Or a sweet foil. Or twenty sodas. Who’s to say? But you’ll be getting them what they want, and that’s the best sort of gift. Really, that’s the best advice anyone could give. You’re supporting a brick-and-mortar store, you’re enabling in-person, healthy gaming. Whatever they end up spending it on, godspeed. This also applies to big online sites. Lots of them offer gift certificates, and while you can’t buy drafts with such a gift, you can still enable someone to make their own financial decision, instead of the crapshoot of opening packs. My point is that rather than try to guess what sort of accessories someone would want, simply enable them to get the ones that they think are amazing. That’s a gift. Maybe you want to help someone travel to a GP or other big event, and you offer to feed the cat or something. You’re enabling someone to take longer and have an experience–something we remember for a longer time and with greather satisfaction than owning a thing. I’m donating to two different Patreon accounts these days. Both have episodic content that I enjoy a lot and I want to support. Took me a long while to come around to that, though. It’s worth the price and it’s a worthwhile goal to support people who make content that I enjoy. Help someone else do the same. Buy someone a membership at a site that will help them track prices, organize collections, and read great articles from some of the best financial minds in the business. ProTrader is only five bucks a month! What a deal! My goal here is to get you thinking about more than just crass packs. There’s endless things to gift someone, and that doesn’t even take into account things you might make them. But do them, and yourself, a favor: skip Wizards’ promotion of boosters and go after something more functional or personal.